When Cathy McLennan first steps into Townsville’s Aboriginal and Torres Strait Islander Legal Service as a young graduate she isn’t expecting a major murder case to land on her desk. The accused are four teenage boys whose family connections stretch across the water to Palm Island. As she battles to prove herself in the courtroom, Cathy realises that the truth is far more complex than she first thought. She starts to question who are the criminals and who are the victims. 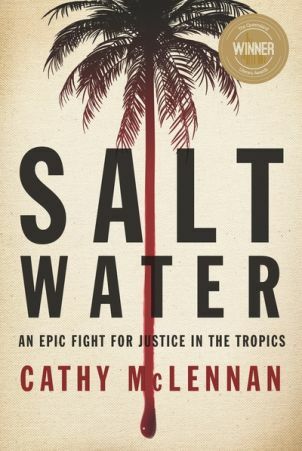 Saltwater tells the compelling story of one lawyer’s fight for justice amongst the beauty and the violence of this tropical paradise. McLennan doesn’t offer any solutions in this memoir of her years as a young lawyer working for the Aboriginal and Islander Legal Service but she does shine a light on the shameful plight of so many indigenous children, and adults, for that matter. She asks who the criminals are and who the victims? Is there any possibility of making things better? This book should be compulsory reading for all Australians and then, just maybe, we could find a reasonable way forward. Cathy McLennan is the winner of the 2014 Queensland Literary Award for Best Emerging Author and has written for the Courier Mail and the Townsville Bulletin. 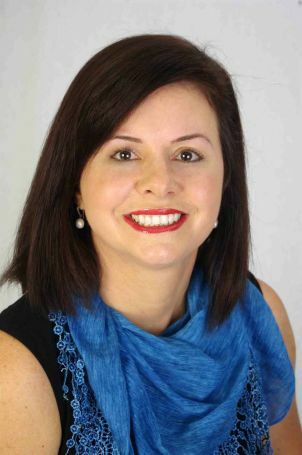 She has more than twenty years’ experience in criminal law, from her early days working as a barrister for the Aboriginal and Torres Strait Islander Legal Service in North Queensland, to appearing in the High Court and deciding cases as a Queensland Magistrate. She has a Masters of Law and was the recipient of the 2015 Chancellor’s Award for Outstanding Alumnus of James Cook University. Cathy is well known for her dedication to vulnerable Queenslanders.